Step off the beaten path and head to Tubbataha Reef and Scuba & Snorkeling. 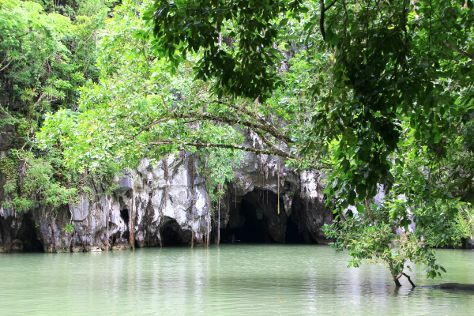 There's still lots to do: explore the fascinating underground world of Puerto Princesa Underground River, take an in-depth tour of Palawan Special Battalion WW2 Memorial Museum, and contemplate the waterfront views at Honda Bay. To see more things to do, where to stay, ratings, and other tourist information, you can read our Puerto Princesa itinerary maker. May in Puerto Princesa sees daily highs of 38°C and lows of 30°C at night. Wrap up your sightseeing on the 13th (Sat) to allow time to travel back home.